Summer might be winding down but the fun doesn’t have to stop here. Even though it’s about that time to start thinking about school lunches again (how did summer go by in such a hurry?! 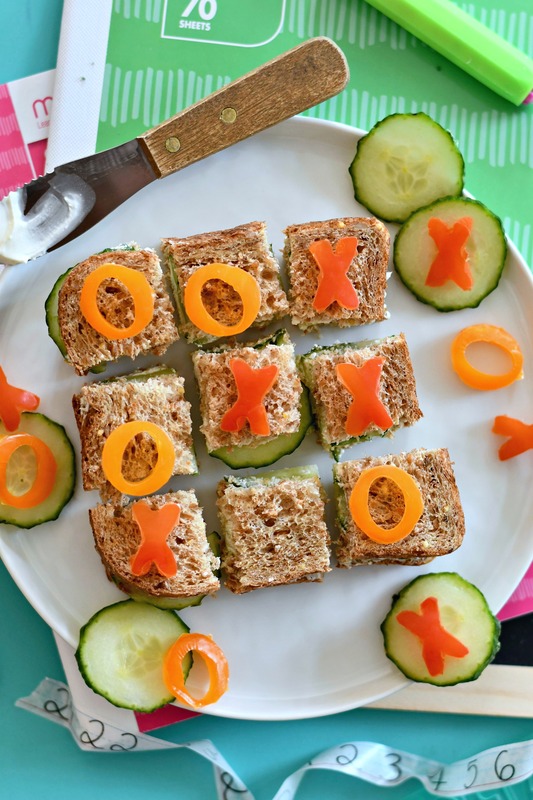 ), these Tic Tac Toe Sandwiches are an entertaining way to get creative with lunch. Create any sandwich you want, really, I just happened to make a cream cheese and cucumber sandwich. 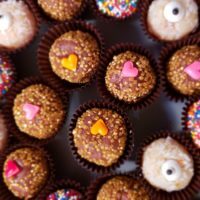 You can use peanut butter and jelly, ham and cheese, or whatever your child’s favorite sandwich filling is. Lather cream cheese onto each piece of bread. Layer one side of bread with the sliced cucumbers. 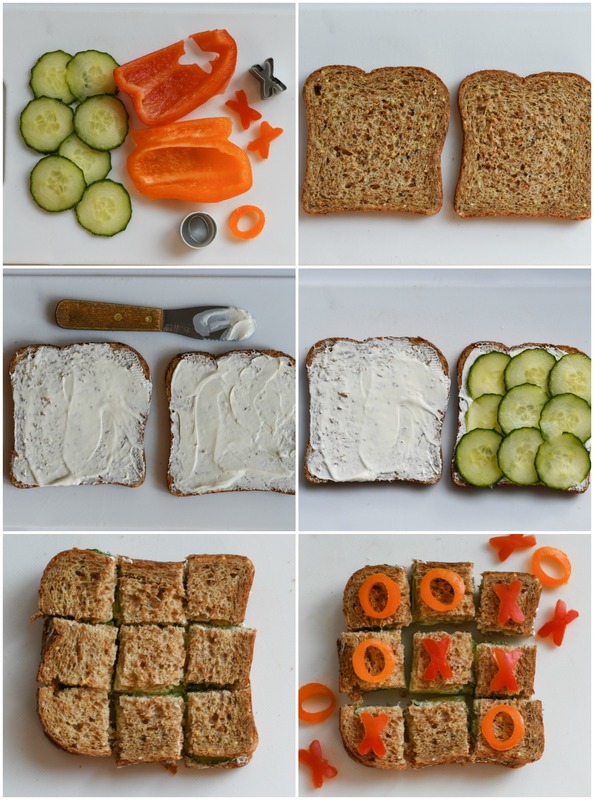 Cut the sandwich into 9 equal squares. 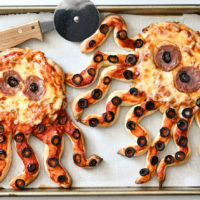 Cut out x’s and o’s from veggies and/or cheese with mini cookie cutters. 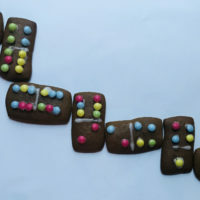 I found great results using different colored bell peppers for my x’s and o’s. 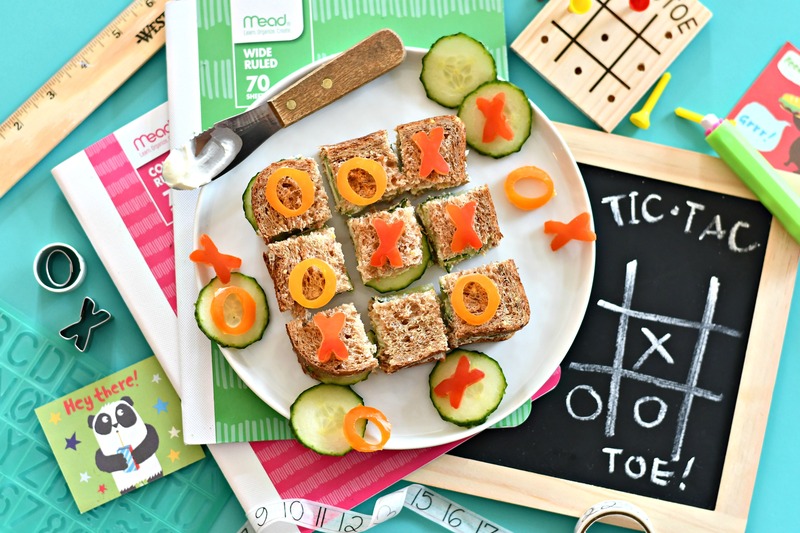 Pack your child’s sandwich with the extra x’s and o’s on the side so when they are ready to eat, they can play a game of Tic Tac Toe first OR serve immediately assembled with a fun game already started (if you are not packing a lunch).